In recent times many telecom infrastructure companies are offering common passive infrastructure to more than one cellular operators. This decreases the cost of capital and maintenance. However, this introduces a problem in case the alarms generated inside the shelter are to be monitored by more than one cellular company. 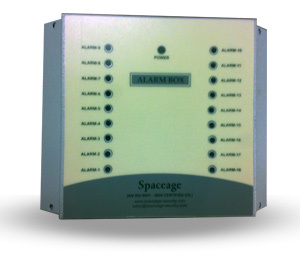 To tackle this problem we have developed an Alarm Extender that extends one alarm to multiple NMS, each one being electrically isolated. Since the outputs are isolated, even if there is a problem it remains limited to only one operator. Also even if NMS are incompatible (some work on -5 Volt DC, some work on 3.5 Volt DC) the alarm system can handle the same. This system was successfully used for underground stations of Delhi Metro where multiple operators are sharing the same infrastructure. Please note that a separate power source gives supply to this system and it does not effect any of the existing systems and can be connected to existing alarms without any modification. Models can also be customized on request.